Born on July 8, 1947 in Memphis, Tennessee, Bobby was the third child of his father and first child of his mother. He was named after a famous Southern Baptist preacher, DR Robert G. Lee. He had two older brothers and two younger brothers and a younger sister. ÝBrother Michael died in 1958 at the age of 10. His Father worked in a farm equipment plant and his mother mostly stayed home and raised the children, which was a difficult job in itself considering all the boys she had to contend with. Bobby, along with his siblings, was raised in an obscured neighborhood called Frayser, which to this day still has jokes about it and probably explains why Bobby has such a good sense of humor. Growing up in Memphis, Bobby had a lot of diversified musical influences. Early influences included Hank Williams, Elvis Presley, Carl Perkins and Muddy Waters. But what really got his attention were the piano players of that day, Jerry Lee Lewis, Fats Domino, Ray Charles, Roger Williams and Floyd Cramer. (Bobby met Floyd Cramer when he was 16 years old and that experience really had a lasting effect on Bobby's music.) On the family side, his Father played harmonica and piano by ear and his Mother sang, played the guitar and was on the radio in the late 30s. They used to have regular family sing-a-longs, inviting area musicians to join in. Bobby's Father bought an upright piano for $20.00 in hopes that Bobby's sister Sandy would learn to play it and play in church. He wanted to give her piano lessons, but Bobby's mother insisted that the boys take lessons too! None of them except Bobby seemed to be interested or showed any kind of musical talent. During that time period, there was a strange new kind of music that was sweeping the country and it was actually born in Memphis at Sun Studio. It was called Rockabilly. ÝThose early Rock and Roll years along with being subjected to the sounds of Rockabilly, Honkytonk, Blues, Gospel and his Mothers Country music really had an influence on Bobby's music creativity and can be heard in his music style today. 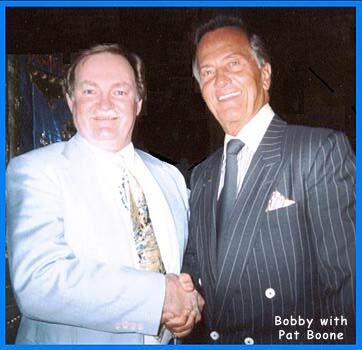 About the time Bobby was 12 years old, Honkytonk and Rockabilly music was really striving in Memphis and he started playing in Bars and Night Clubs with much older musicians. They used to sneak him in the back door and hide him behind an upright piano. He played with several Memphis singers of that day. Travis Delanie gave him his first paying job. Bobby also played a lot of Sock Hops and actually joined his first Band in 1959. The Band was called "The Red Notes" They were an all instrumental rockabilly group. Other Groups Bobby belonged to included: "the El Dantas", "the Out of Its", "the Cracker Jacks", "Tommy Jay & the Escorts", "the Cornbread Band", "the All American Band", "Switchline Band", "Trinity" and "Two's Company". Around the age of 16 another strange form of music was sweeping the country. It was called the British invasion and Bobby once again had to adapt to a new kind of music, in which the organ was a more prominent instrument than the piano in that style of music. So Bobby did pick up on the organ and since there were so few boys that played the piano anyway he suddenly became a sought after and very much in demand musician. He played in numerous groups in the 60's. In 1966 Bobby won the Mid-South Fair and was scheduled to appear on the Ted Mack Original Amateur Hour on CBS Television, but before he could go there, he got drafted during the Vietnam War (that's another story in itself) and his musical career was put on hold! In the early 70's Bobby began playing country music with a touch of rockabilly piano. He has won numerous talent shows. In 1972 he won first place in the Eglin AFB talent show and the AFSC talent show. As a result he appeared at the Stardust Hotel in 1972. He played while on active duty and traveled TDY with the Air Force "Tops in Blue" Road Show. After the military and a bout with alcohol, Bobby got back on the right track. Thank God he Did! in the 80's he played on the Lucy Opera and Casper Creek Country stage shows. During the 90's Bobby was doing solo gigs. He played River boats gigs and had a piano bar at the Wilson World Hotel in Memphis for 5 years. Since those early years, Bobby has come along way as a featured solo Artist and still stays busy in and around every aspect of the Music Industry. A blend of all of his musical experiences and expressions comes through in his music today . Bobby is busy writing, producing, recording and creating his own music as well as helping other young and upcoming Artist and Musicians get started. He currently has 5 CDs. Here are two short stories involving Bobby to share with the celebrity history buffs who might find them interesting. The Names have not been changed to protect the guilty. Back in 1965, Bobby was cutting a commercial at the local radio station in Millington, TN. There is where he met the legendary Dewey Phillips. At first, Bobby did not know who he was. Dewey was employed as a janitor. Yes, we said janitor. Dewey had lost his broadcasting license and was working as a janitor. Bobby remember thinking, "What a waste of talent!" As he recalled, Bobby finished the commercial late that night. Dewey approached him and ask if he minded giving him a ride home. Of course, Bobby said yes. On the way, Dewey asked Bobby another question, "Would you mind taken me by the liquor store?" Again, Bobby said yes. When they got to the liquor store he again ask Bobby one more question, "Would you have $5.00 I could borrow for a bottle of wine? Again, Bobby said yes and was more than happy to give him the $5.00. Bobby took him home and that was the last time he saw him but Bobby will never forget it. 1966: Bobby was playing piano/organ with the house band at the Thunderbird lounge in Memphis with a group called Tommy Jay and the Escorts. Elvis had booked a private party there. Of course Bobby was all excited knowing he would be playing for the "King". ÝUnfortunately Elvis never showed up! But the party went on anyway. Wink Martindale, Linda Thompson, George Klein and a few other local celebrities were there. Bobby never found out why Elvis didn't show up for his own party. Foot note: All the time that Bobby were booked there (about 2 months) There was this blind guy who was doing a Piano Bar happy hour gig until the band came on stage. Guess who it was? None other than Ronnie Milsap! ... for Bobby's Music, Concerts, Tapes and CDs.